Clear Lake City Healthcare Professionals Ekong Uffort, M.D. Dr. Uffort is a fellowship-trained General Surgeon and serves at Clear Lake City Healthcare Professionals located in Webster, TX. He completed his medical education at the University of Texas Medical Branch at Galveston. He then moved to West Virginia, where he completed his General Surgery residency with Joan C. Edwards School of Medicine, Marshall University. On returning to his adopted State of Texas, he completed fellowship in Advanced Minimally Invasive Surgery in San Antonio. 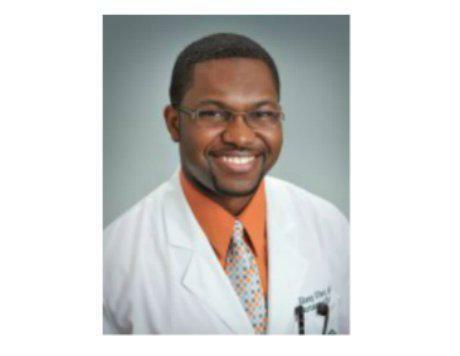 His mentor was the world-renowned Dr. Morris Franklin Jr at the Texas Endosurgery Institute. In his spare time, Dr. Uffort enjoys spending time with his beautiful wife and three wonderful children. They love traveling to theme parks, resorts and other natural attractions. Dr. Uffort considers himself an avid soccer player and wishes one day to be called for a try-out with the US Men’s national soccer team.